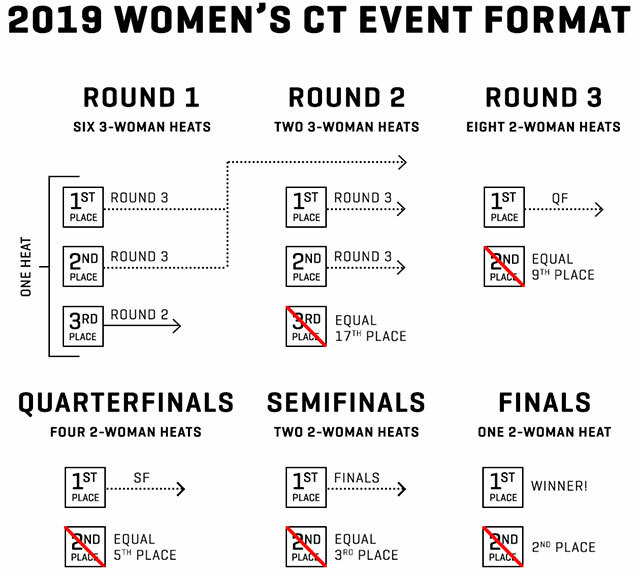 Los Angeles, Calif./USA (Friday, March 15, 2019) – The 2019 World Surf League (WSL) Championship Tour (CT) will host the biggest year in surfing yet with new format updates, equal prize money, and qualification for the Olympic Games Tokyo 2020. The season will launch on the Gold Coast of Australia at Stop No. 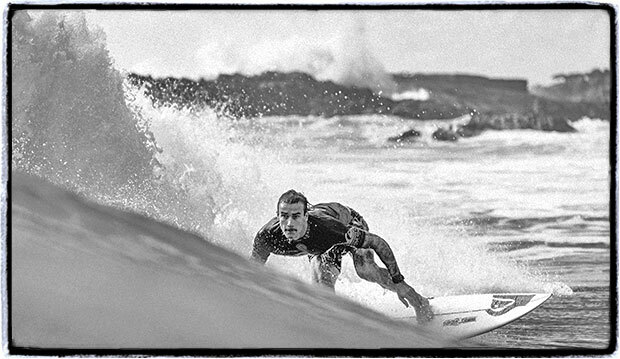 1, the Quiksilver Pro and Boost Mobile Pro Gold Coast, opening April 3, 2019. The WSL CT is the world’s premier surfing series that crowns the undisputed women’s and men’s World Champions at the conclusion of each season. With the goal to improve the competition for both the athletes and the fans, new format updates will be introduced this year. 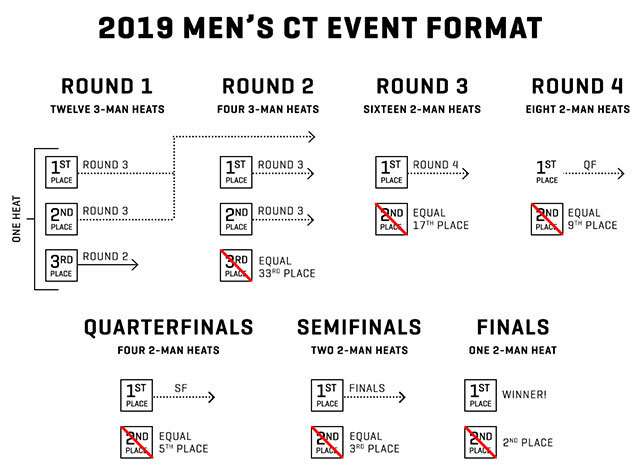 The new updates are a continuation from last year’s format changes, which eliminated Round 5 in the men’s event and Round 4 in the women’s event. There will now be linear advancement (bracket) after Round 3 to the Finals, in addition to head-to-head matchups from Round 3 to the Finals. Additionally, all head-to-head heats have the option to ‘overlap’, which means two heats can run simultaneously, giving the events more flexibility to run during the best conditions. The 2019 WSL CT is the top of the hierarchy in the Olympic qualification system for the world’s best surfers. The world rankings at the end of the 2019 CT season will determine 18 of the 40 places at the Olympic Games Tokyo 2020 (10 men and 8 women). The remaining 22 places will be determined at the 2019 and 2020 ISA World Surfing Games, the 2019 Pan American Games in Lima, and a single slot (each for men and women) for the host nation, Japan (if they have not already qualified through the mentioned routes). Following the final CT events of the season (the Hawaiian Pro and Billabong Pipe Masters), the world rankings will determine the first highest 18 eligible qualifiers for the Olympic Games Tokyo 2020, subject to all qualified surfers meeting the ISA’s and IOC’s eligibility requirements and being selected by their respective National Olympic Committee. Last September, the WSL announced equal prize money across all owned and operated events, becoming the first US-based global sports league to do so. It’s an initiative that has been a long-term goal for the organization and one that has come to life after new ownership took over the organization in 2013. Equal prize money was instituted for the 2018/2019 Jaws Challenge, which ran in November 2018, and for the first stop of the revamped Longboard Tour, the Noosa Longboard Open, which ran earlier this month. Now, the Boost Mobile Pro will host the first CT event to award equal prize money. There will be equal prize money for every women’s CT stop this season and beyond. The opening CT stop in April will also launch a global beachside engagement program for girls, Rising Tides – WSL Girls Program, which will offer clinics at each women’s CT stop in an effort to inspire the next generation to take to the surf. 2019 will also see the continuation of the Pioneers program, which celebrates female legends, as well as the launch of an international marketing campaign to highlight the women’s tour and increase event viewership and fan engagement as well as a number of other activations that will be announced in the coming months.